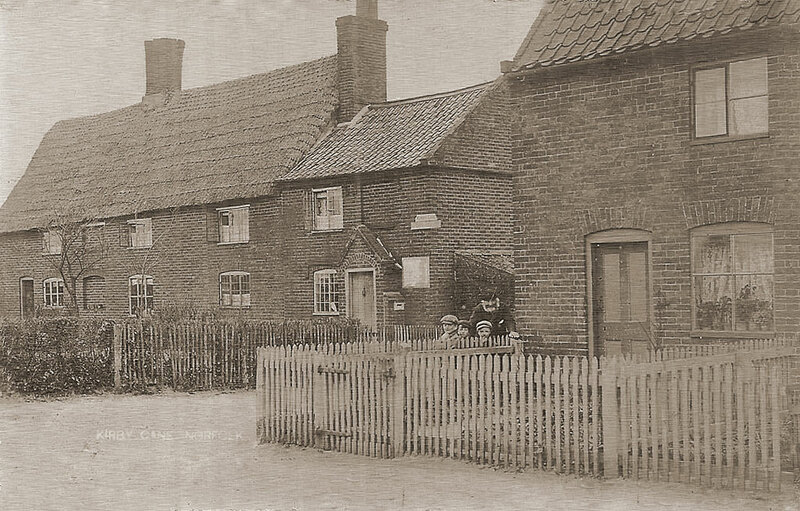 This is still a recognisable scene despite some alterations to the buildings. What looks like a shingle driveway in the Google image is now known as ‘Old Post Office Lane’. 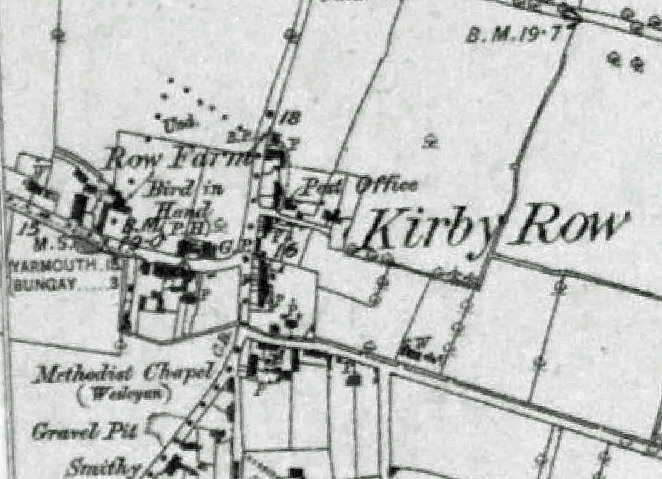 The location is also shown on the Ordnance Survey First Edition Map which was surveyed between 1879 and 1886. Kelly’s 1900 Directory of Norfolk shows that the postmaster at that time was a (John) Baker Flowers. He and his wife Mary appear in the 1891 Census, both aged 75. 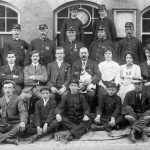 They are occupied as Sub Postmaster and Postmistress at the Street Post Office. John died in 1901 as this record shows. The postcard this image comes from seems old enough to suggest that this might be John in the photo, but it cannot be certain as there is no date or postmark to refer to.